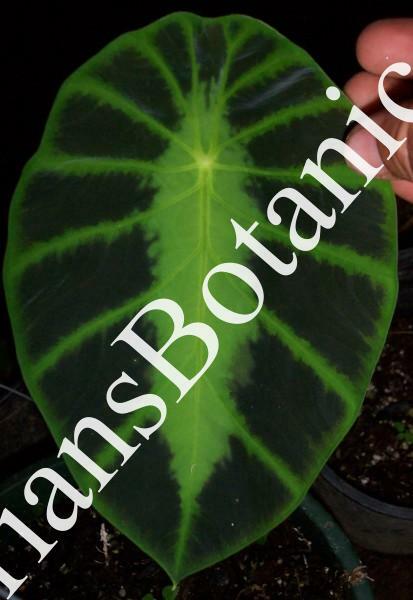 Colocasia Affinis Jenningsii is a small grower that is very similar to Colocasia Fallax. This plant grows to 1- 2 feet tall with striking dark leaves and green veins. This plant go dormant every winter much like a caladium and returns in the summer. The plant for sale is in a 3 inch pot.